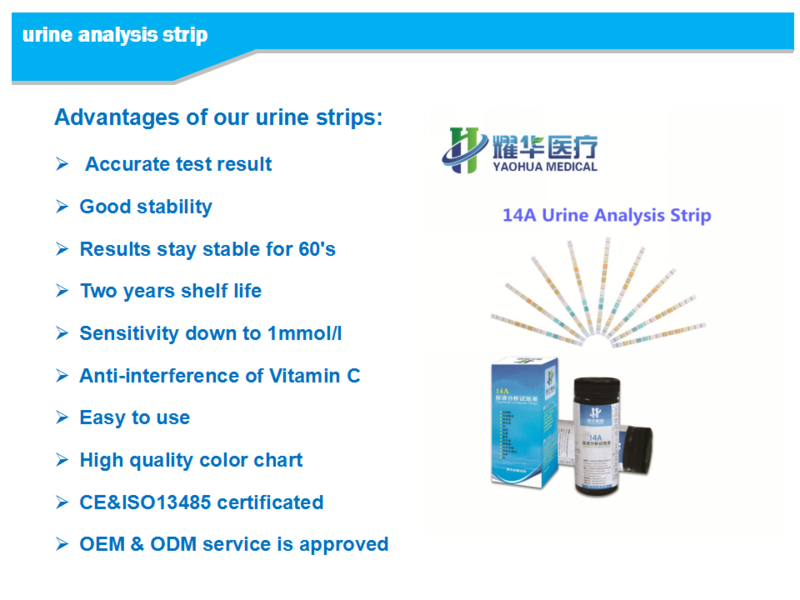 10.We also have matched urine analyzers with different models,if needed,pls contact me freely. after 10-20 days after received the deposit payment. 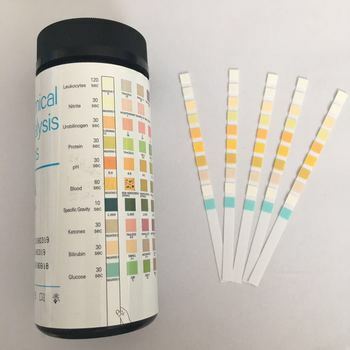 Dip the test patch of a fresh strip into urine sample, or pass strip through urine stream 1 to 2 seconds only. Blot excess on a clean paper towel or tissue. 1, Do not touch test areas of reagent strips. 2, Do not use after expiry date. 3, Do not remove desiccant(s). 4, Do not remove strip from the bottle until immediately before it is to be used for testing. 5, Replace cap immediately and tightly after removing reagent strip. 6, Store at temperature between 2°C-30°C. 7, Store only in original bottle. 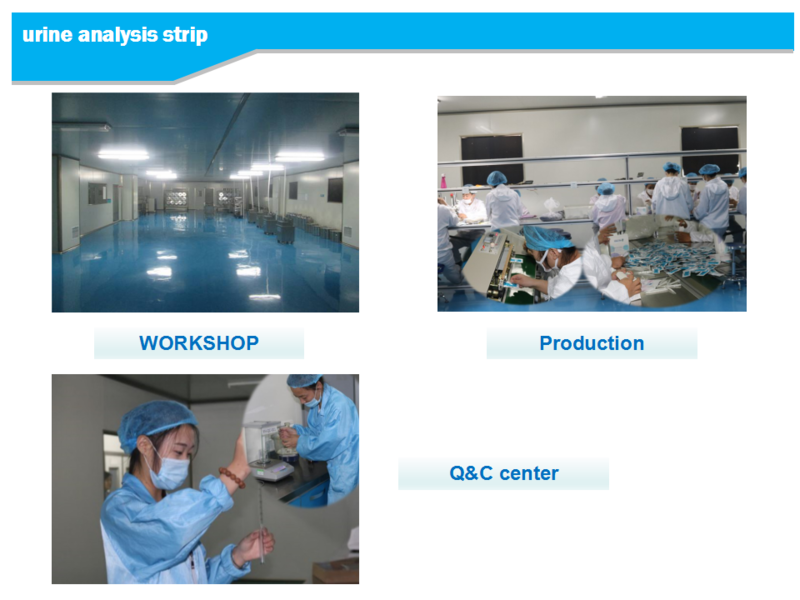 8, The sample should not be more than 4 hours old at the time of testing. 9, Collect fresh urine in a clean dry container. 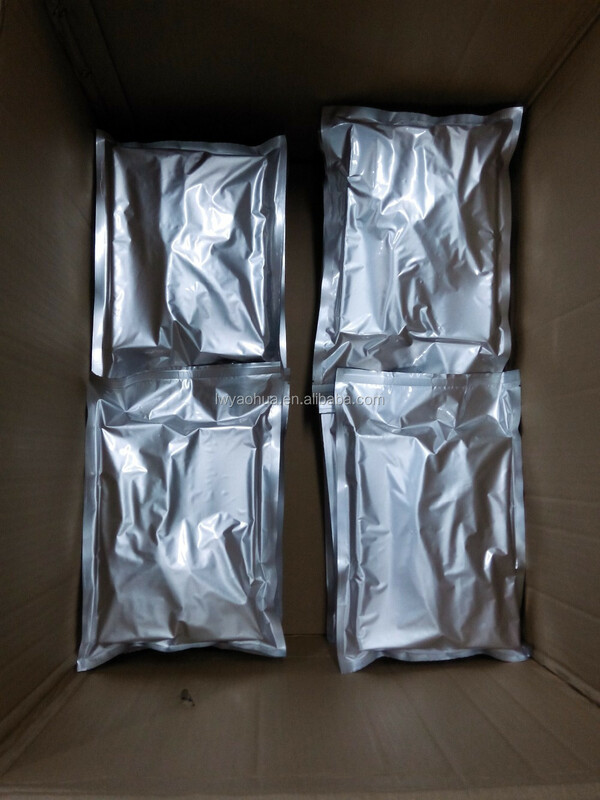 1, Immerse all reagent areas in specimen and remove strip immediately. 2, Run edge of strip against the rim of the container to remove excess urine. 3, Compare test areas closely with colour chart on bottle label or bench reader. Record the results.